ABS (acrylonitrile-butadiene-styrene) is a thermoplastic resin first developed in the 1950s for use in oil, gas, and chemical operations. 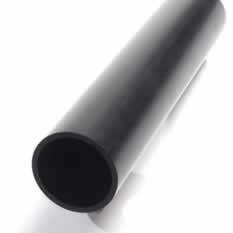 ABS plastic remains popular today for a wide range of uses, especially as tube and pipe. 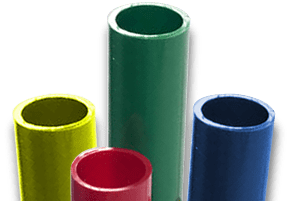 Crescent Plastics offers a wide variety of ABS tube and pipe, in standard diameters, lengths, and colors to meet the needs of your application. Available plastic tubing sizes range from 0.188” O.D. to 4.5” O.D. Various packaging options and custom printing are available as needed. We can supply nominal ABS pipe sizes, as well as custom pipe sizes to meet your unique requirements for O.D. and/or wall thickness. Our capabilities include on-line and off-line fabrication processes to provide complete extruded tubing products that match your specifications. Request a quote or contact us to discuss the custom pipe or tubing you need. Crescent Plastics are the expert extruders you need for all types of custom thermoplastic tube and pipe. 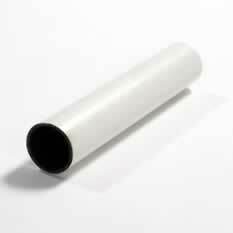 We also offer standard and custom polypropylene tubing, polycarbonate tube, and other thermoplastic tube/pipe options. Request a quote on custom ABS tubing or pipe for your application, or contact us to learn more.